We offer free, no obligation design, installation & quotation service. We will also survey the site and ensure any preparatory work is completed properly. Fence panels can be cut to any size on site, and can be stepped or raked. This is according to your preference or to accommodate sloping ground. The fence can allow your garden fence to follow the natural contours of your land. We also produce ColourRail. It is a tubular steel railing solution for applications where full screening is not required. 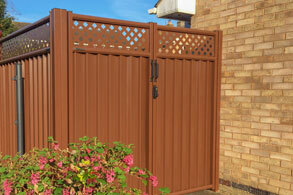 It comes in a wider array of colours than ColourFence and comes in a loop, loop and spear or all spear finish. Five colours are offered as standard with over 300 RAL colours available on request (subject to minimum order quantities). Pedestrian and driveway gates are available to compliment your new fencing system, in safe and secure materials. 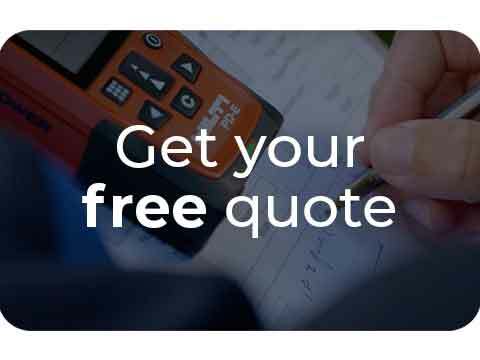 If you would like to learn more or get a free, no-obligation quotation click here to get in touch today. "This is the third time we have used ColourFence. We have a large rear garden and have now had it fully enclosed with ColourFence. The work has been done in 3 stages and every time we have had an excellent job done and the fence looks fantastic. Leigh was very professional, he worked well and consulted us when problems were encountered, he helped us make decisions and the final result is perfect. We can highly recommend Leigh who has done a great job leaving everything clean and tidy. The product is great we have had our first section for 9 years and it still looks new, maintenance is an occasional hose down to keep clean much better than any wooden fencing. Ours is cream, which lightens up the garden and highlights the plant colours when in flower. Fantastic Product, Great Workman." "Despite many coats of preservative, the structure of our wooden fence rotted pretty rapidly, and it fell victim to an autumn storm a few weeks ago. However, every cloud has a silver lining, and we now couldn’t be more pleased with the Colourfence replacement which was erected a few days ago. As well as looking good, we are looking forward to years of summers without the burden of cleaning and treating this fence. In addition, we couldn’t recommend Bo and Gary, the installation team, any more highly. 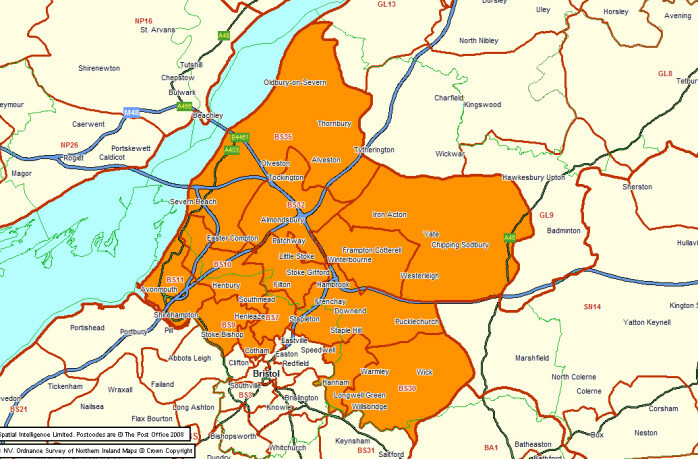 The work was completed very professionally and quickly, and they left the area cleaner than it was when they started. Finally, their friendly and courteous approach made it a pleasure to deal with them. Great job. " "Your product exceeds anything I could have imagined and the end result is beautiful. The man that erected the fence was a nice man and very polite. Thanks again for a wonderful job and I will recommend your company to my family and friends. Thank you once again." 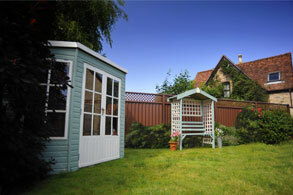 "Excellent service and work by Leigh from ColourFence. Came promptly for the quote, gave us helpful options and then did an excellent job. 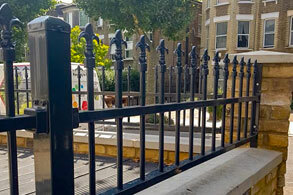 We are delighted with the quality of the work and the appearance of the finished fence." 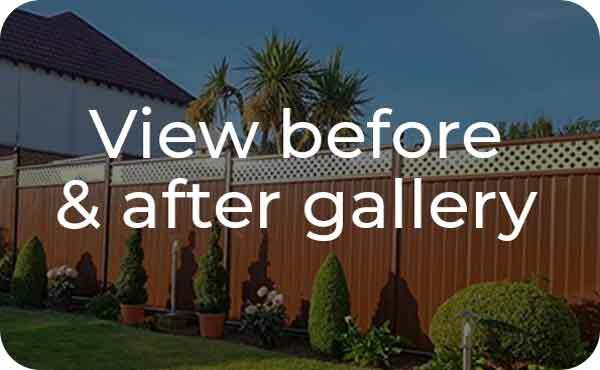 "I am really happy with my ColourFence supplied and fitted by Leigh. It is extremely sturdy and well finished and much more attractive than traditional wooden fencing. The fact that it comes with a 25 year guarantee makes it well worth the money spent. Thank you Leigh!" "I’d like to thank you for your conscientious approach to the project of replacing our very dilapidated wooden fence with the smart new ColourFence, both Cheryl and I are very pleased with the final result and would welcome you, together with any perspective customers to view your work. I wish you every success with your business which I’m sure, given your work ethic will go from strength to strength."